We are starting the season of giving a little bit earlier this year, so you will have your “presents a.k.a. cash prizes” in December! GrabCar will be running a contest within Klang Valley & Negeri Sembilan where we will be giving out cash prizes to 100 drivers that refer their friends and family members the most, from 6 November – 4 December 2017. *This contest will run concurrently with any existing referral campaigns. The driver with the most referrals will win the grand prize and subsequently. *New drivers will also receive additional RM50 from the sign up bonus when they complete 30 jobs within 14 days from the activation date. New drivers may sign up at my.grabcar.com/signup. All they need to do is to key in their details in a really short form! Please ensure they key in your Referral ID in your details in the referral section when signing up. Contest duration is from 6 November to 4 December 2017. Referral drivers must be active* within this timeframe to be eligible for this promotion. *Active means must have driven at least 30 trips in past 30 days. 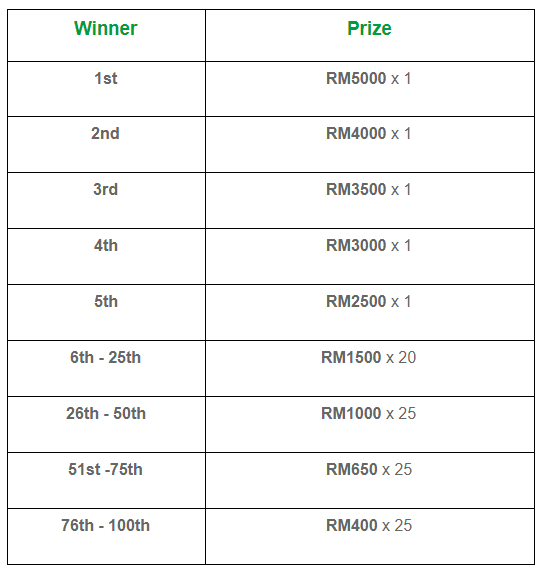 Contest is not open to GC Alpha Drivers and GrabCar fleet drivers. Grabbers will be notified if they are eligible for the promo by 19 December 2017. Applicable to the first 100 eligible Grabbers. This contest will run simultaneously on top of Grab’s current October Campaign – “Refer anyone to drive with Grab and earn up to RM200”. For example: Driver A refers five (5) new drivers on 1 November 2017, he entitled to get RM1000 (RM200 X 5). On top of that Driver A is also entitled to win additional RMXXXX amount if he or she meets requirements of this contest. Only applicable to Grabbers and referrals registered in Klang Valley and Negeri Sembilan.